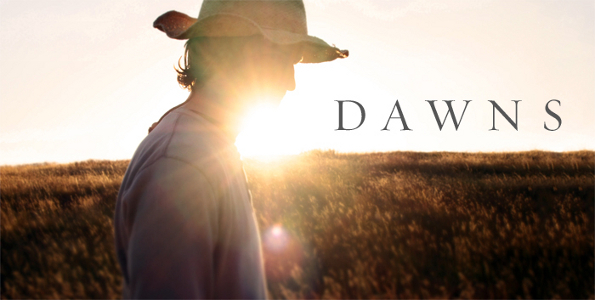 After making solo music for over a decade, Montana’s David Boone is launching a new band, Dawns. Fittingly, Dawns‘ song “Evidence and Answers” sounds like the moment when you finally reach the ocean, just in time to catch the new rising sun after a long, unforgettable journey with the one[s] you love. With acoustic guitar, lush string arrangements, and uplifting melodies, it brings to mind an American Coldplay, which makes sense since producer Danton Supple has also collaborated with them. Featuring a crescendo that could make a snowman melt, the song makes for a great mini-break when you need something that’ll warm your heart. Dawns‘ self-titled EP is set for release on June 20, but you can grab a free download right now below or by checking out his website.